PETER WUCETICH is a Senior Trial Attorney with Homan & Stone. 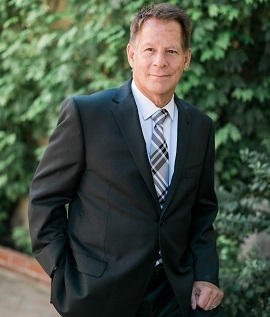 Since his admission to the State Bar of California in 1976, Mr. Wucetich has participated as lead trial counsel in more than 180 jury trials on behalf of; Mercury Insurance Group, AAA, Ohio Casualty Insurance Co., State Farm Insurance Co., and Reserve Insurance Company. Mr. Wucetich has tried many high profile cases in the areas of banking litigation, auto, criminal law, dangerous condition of public property, employment litigation, fraud, insurance coverage litigation, insurance bad faith litigation, real estate litigation, police misconduct, legal malpractice, medical malpractice and personal injury. For a brief period in his career he switched sides of the isle and tried many plaintiff cases to verdict, some with multi-million dollar verdicts. Through this, he realized that defense work was his passion and the genre he finds most rewarding. Mr. Wucetich became a Member of the American Board of Trial Advocates in 1989, as well as a member of the Inns of Court of the American Board of Trial Advocates. He is also a member of the Association of Southern California Defense Counsel.